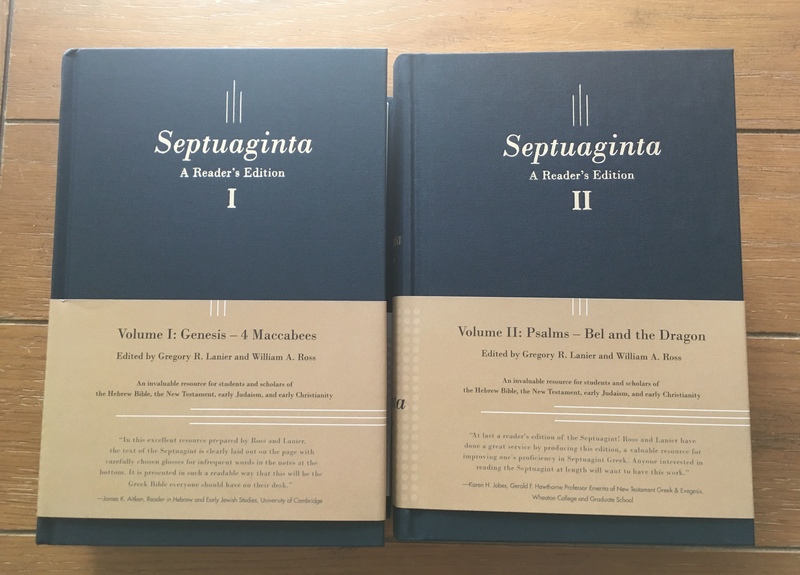 Word on the Street… the Reader’s Edition of the Septuagint Is Shipping! 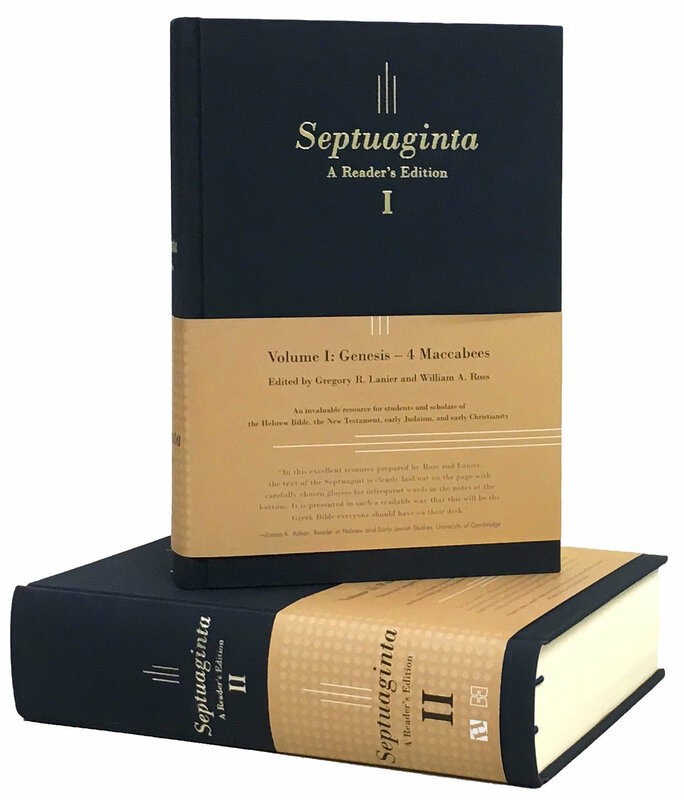 To quote the apostle Paul, “I know a person in Christ” who has received his reader’s edition of the Septuagint. (Whether Paul’s statement was self-referential or not, mine isn’t.) That means it’s now shipping from CBD, where it is also on sale for a great price. Check it out here, and see my previous post about this long-awaited edition here. 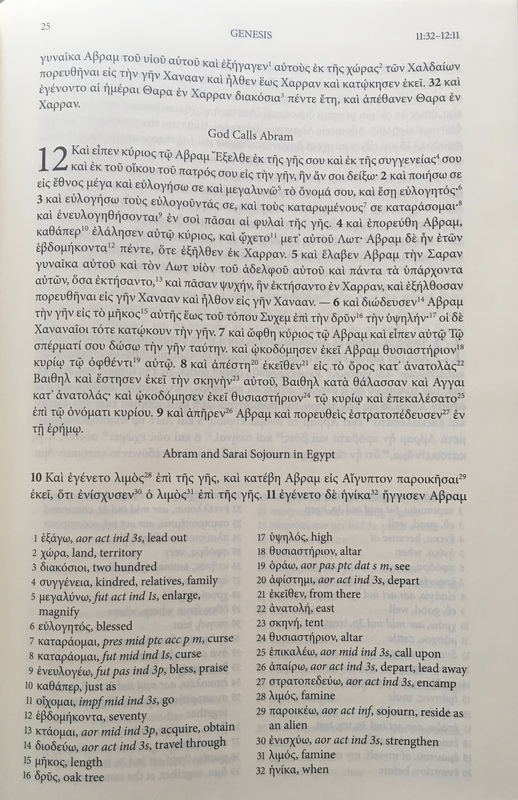 a Reader’s Edition of the Septuagint. 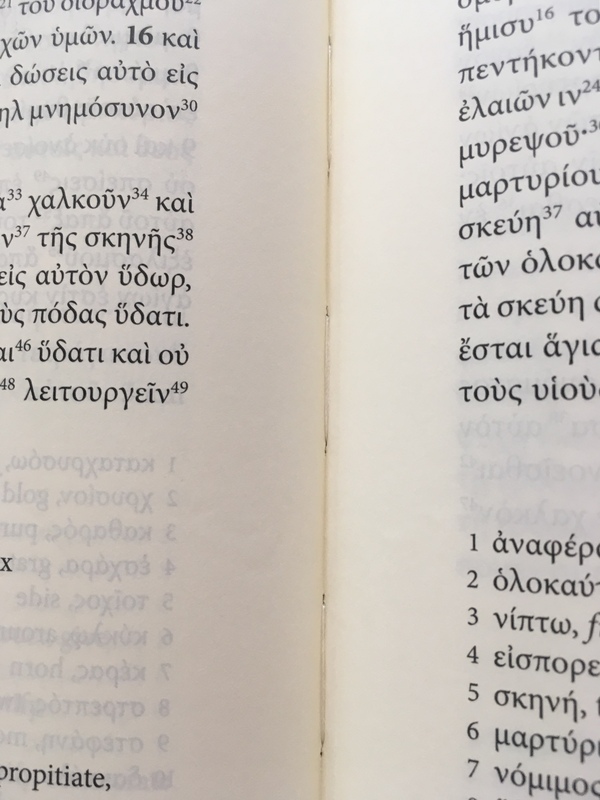 The basic idea behind a reader’s edition is to provide an edition of the ancient text – in our case Rahlfs-Hanhart’s – annotated with running footnotes with lexical information. 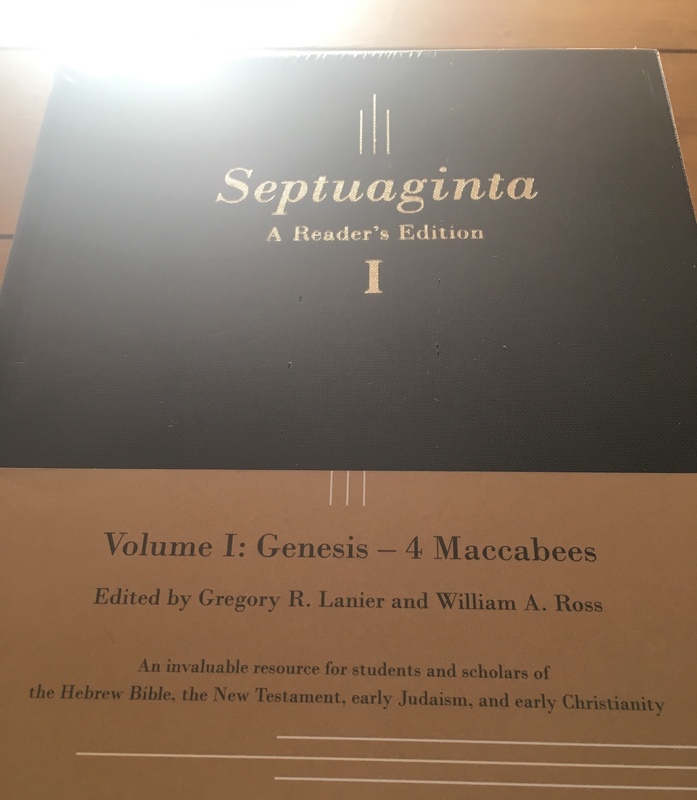 Since most students and scholars of biblical studies are most familiar with New Testament vocabulary, picking up a Septuagint can make for a challenge. 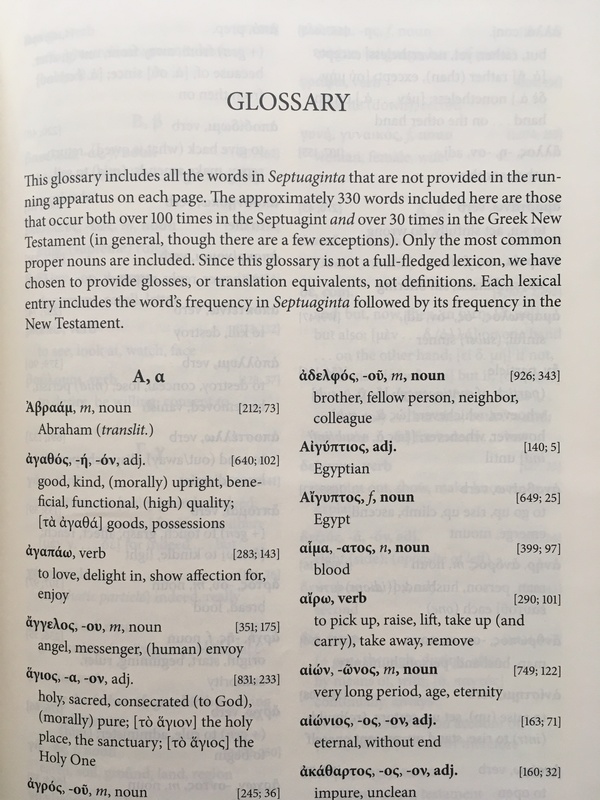 Our reader’s edition seriously reduces that challenge by providing the footnotes for rarer vocabulary, thereby making the reading experience much more seamless and less intimidating. You can pre-order now through Amazon in hardcover or flexisoft=imitation leather (affiliate links) or through CBD. In advance–many thanks to William and Gregory and all the others working so hard to bring this volume to completion and into our hands! God’s covenant people have always needed a mediator. And God—with limitless grace—has always sent mediators to the people. A mediator joins two parties together, stands in the gaps, bridges their conflict. A mediator is “a go-between,” a re-negotiator, an arbitrator. An effective mediator is a miracle worker. Scripture narrates a familiar pattern: God makes covenants with his people; his people break them; God uses mediators to make peace. The Greek word for mediator is μεσίτης (mesitēs). Careful readers of Scripture know that “the idea of mediation and therefore of persons acting in the capacity of mediator permeates the Bible” (New Bible Dictionary, 3rd edition). 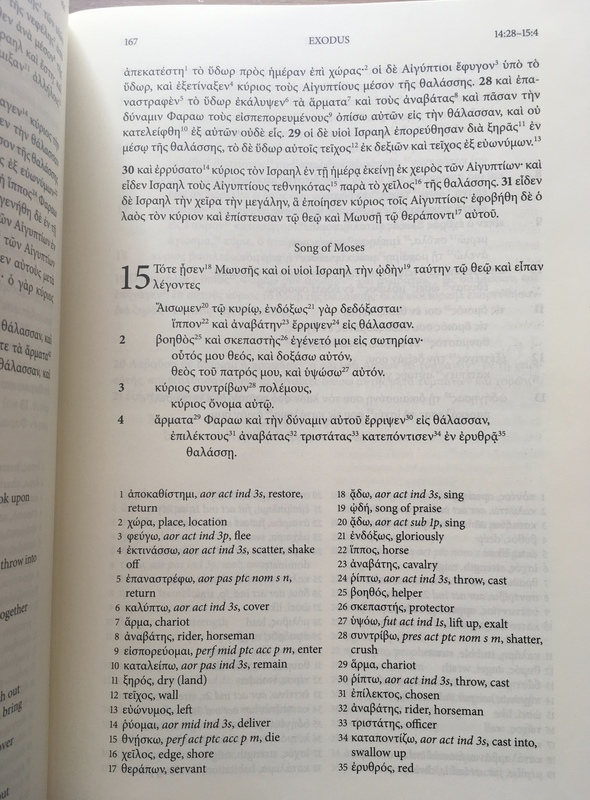 However, the word mediator=μεσίτης (mesitēs) occurs only six times in the Greek New Testament. The concept and practice of mediation (think: sacrifice, atonement) does indeed fill the pages of the Old Testament. Most of the New Testament uses of mediator, in fact, reference the old covenant. 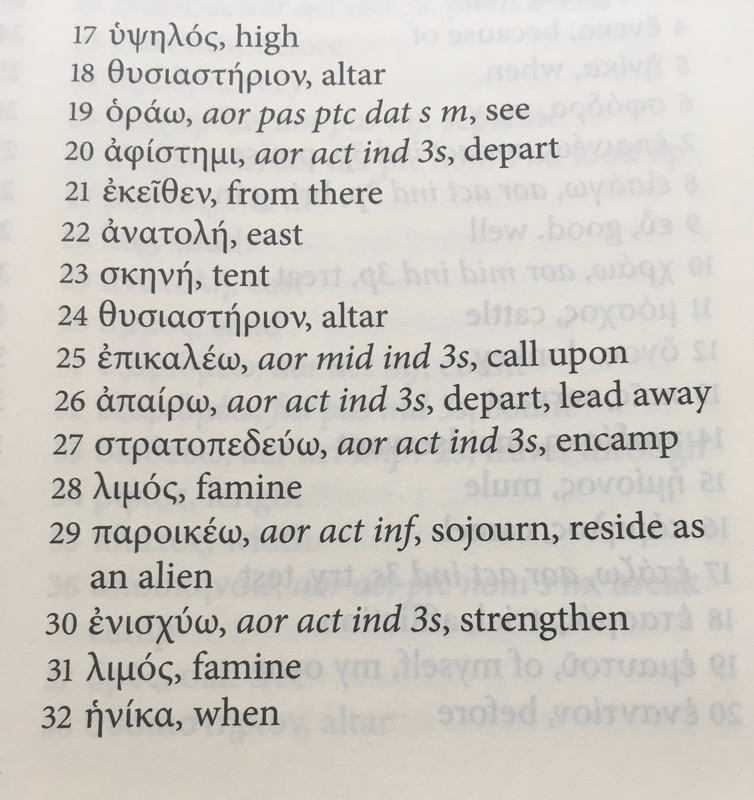 So I found it especially fascinating when I learned that mediator=μεσίτης (mesitēs) occurs only once in the Greek Septuagint. It comes up in a striking passage in Job 9:33. Job has already lost everything. But we remember as he utters these words in chapter 9 that the Bible describes him as “blameless and upright, one who feared God and turned away from evil.” It said he would “rise early in the morning and offer burnt offerings,” just in case his children had sinned. He covered all his bases. He kept at least the semblance of a covenant with God. that we should agree to come to trial. and one to hear the case between us two. Job longs for a mediator, an arbiter between him and God. An “umpire,” the NRSV says, translating the Hebrew. Again, Job calls for a mediator, even though we have no narrative evidence that he broke a covenant with God! He acknowledges that he can’t “contend” with God as in court, but still yearns for a “mediator” to bridge the gap between him and God. If Job, who led a blameless life, thought he needed a mediator to get to God, how much more do we, God’s not-blameless people, need a mediator to be in the presence of a perfectly holy God?